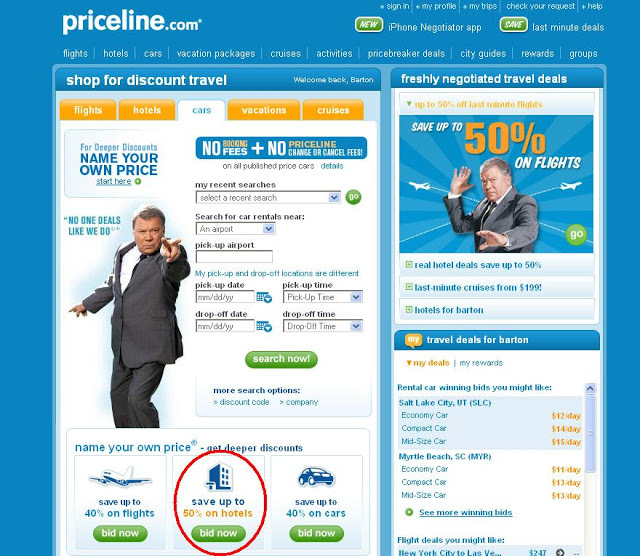 Have you used Priceline Name Your Own Price to bid on Priceline hotels? It’s a great way to save money and stay in a great hotel on a budget. 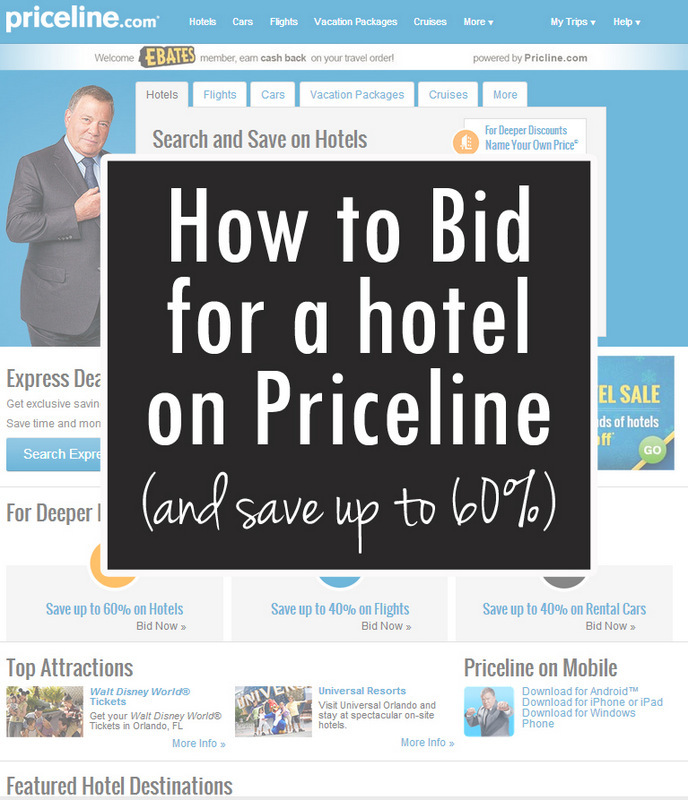 Here’s a step-by-step guide to Priceline hotel bidding! 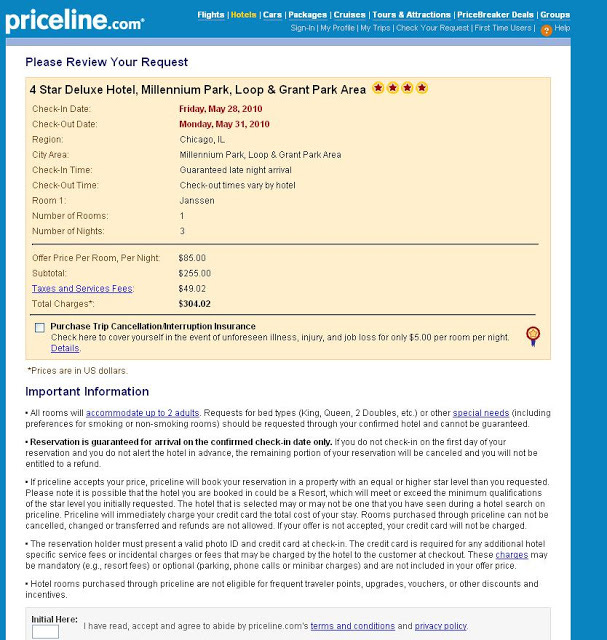 A long time ago, I wrote a post on another blog about how to use Name Your Own Price to get a cheap hotel room in Priceline. Three years later, I still love it. In fact, I just used it three week ago when I went down to Atlanta for a blog conference. Priceline speaks my love language. Anyway, if you’re preparing for holiday travel (or non-holiday travel), you might be interested in snagging a good deal on a hotel with Priceline. 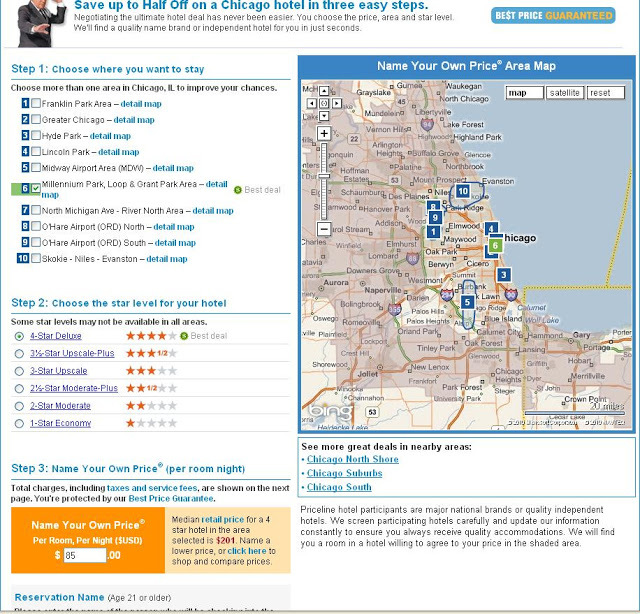 If you’re unfamiliar with the Priceline Name Your Own Price concept, basically you just tell Priceline what area of a certain city you want to stay in, what star-level hotel you want, and how much you’re willing to pay. And then it matches you with a hotel, making you a non-refundable reservation, and then showing you what hotel you get after you’ve paid. So here’s my technique (I’m sure there are other ways too, but this. . .the way I do it and the only way I can vouch for because I’ve never done it another way). Prepare yourself for the fantastic joy of bidding for a hotel on Priceline, and take your heart medication beforehand, because that moment while you’re waiting to find out if your bid has been accepted and what hotel you’ve gotten can be as good as running a marathon. Let’s go. Here’s a little guided tour through the whole process. Let’s pretend you are going to go to Chicago for 3 nights over Memorial Day. First, you’d go Bidding for Travel (I’ve had other people recommend Better Bidding and Bidless Travel, but I’ve never used either of them, so I can’t say how they compare. And since I’ve never had issues with my current system, I’m not terribly motivated to learn an entire new one). At the top of this page, there is a long warning, which I’ll repeat here. This list is not going to be hundred percent accurate! 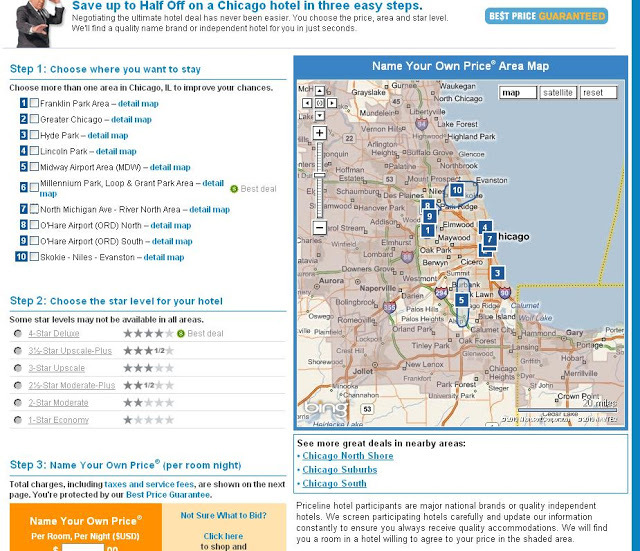 Priceline can change the star-rating for a hotel or there may be hotels that are not on the list because no one has ever posted that they’ve won a bid there or the zones may change unexpectedly, etc. This is just to give you a reasonably good idea of what kind of hotels you have a shot at getting in any particular zone or star level. I usually click around and look at the hotels so I know which zones or star levels I’ll be unhappy with and thus which ones to avoid. 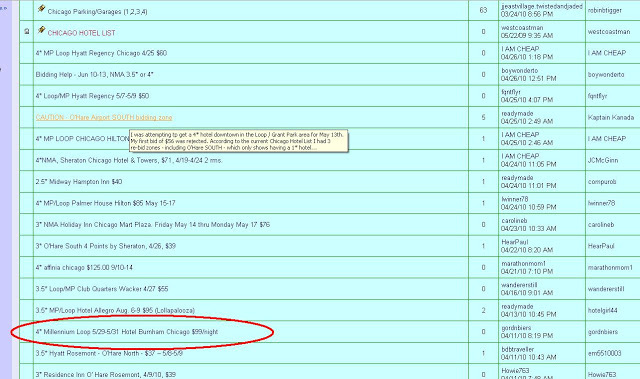 The one I’ve circled is for Memorial Day weekend. If you click the link, you’ll notice that the rate on the hotel’s website for those same dates is $409 per night, so $99 is a steal. This also lets you know that if you’re willing to go less than a 4 star, you shouldn’t have too much trouble doing it for well under $100 per night. 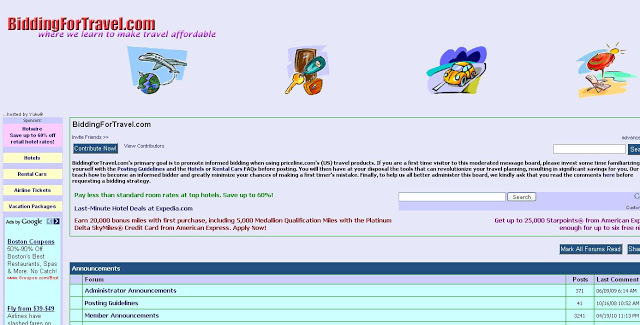 Here’s the main bidding screen. First you need to select which areas of the city you’re willing to stay in. Start with one (so that you have things to add later if your first bid doesn’t get accepted). Select “Millennium Park” as your area, choose “4-Star Deluxe “for your star level, and put in how much you’re willing to pay per night. (By the way, here’s a secret tip: if you put in the wrong three-digit CVV code, you get a “get out of jail free” card, where if your bid is accepted, you’ll get an error message saying, “hey, your card didn’t go through.” That way, you get a chance to know if your price was accepted before your card is charged. If you’re suddenly getting cold feet, you can just cancel there. If you’re happy and ready to see the hotel, enter your correct CVV code and then it’ll move forward). Once that’s done, they’ll look for Priceline hotels for you. If not, it’ll give you an opportunity to rebid, but you’ll have to change something besides your price. You can wait 24 hours and start over. OR. . . you can add zones and star levels. In this case, you could add 3 1/2 stars as a level you’d be willing to stay at and try again with a slightly higher price. If it still doesn’t work, add the North Michigan Avenue area and bid again (or you could do these in the opposite order and try adding a zone before you lower your star level). And then, if you are still unsuccessful, you can start adding zones that don’t have your star level, which basically is a free re-bid (meaning, you don’t have to lower your standards or wait 24 hours). 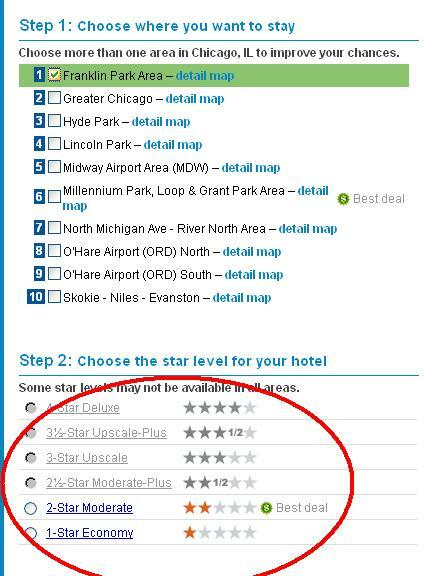 If you click through the zones, you’ll notice some zones only have really low-star hotels available, like Franklin Park which only goes up to a whopping 2 stars. 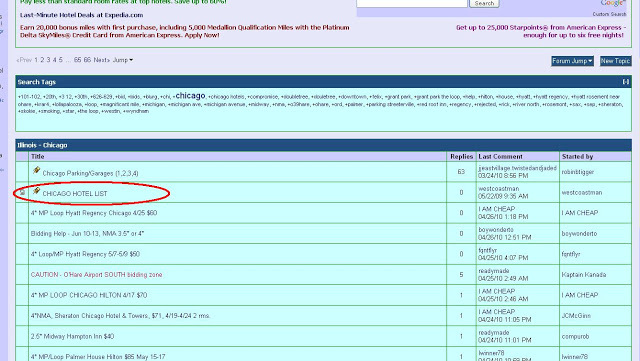 This means that if you add that zone to your bid but keep your star level at 3 1/2 stars or higher, you have no chance of getting something in the Franklin Park area because they don’t HAVE any hotels that are 3 1/2 stars or higher. The Hyde Park zone also does not go above 2 stars, so it’d be another free rebid. Eventually, you’ll get a hotel room. And you’ll rejoice, especially when you look at how much money you’re saving. Easy enough, yes? 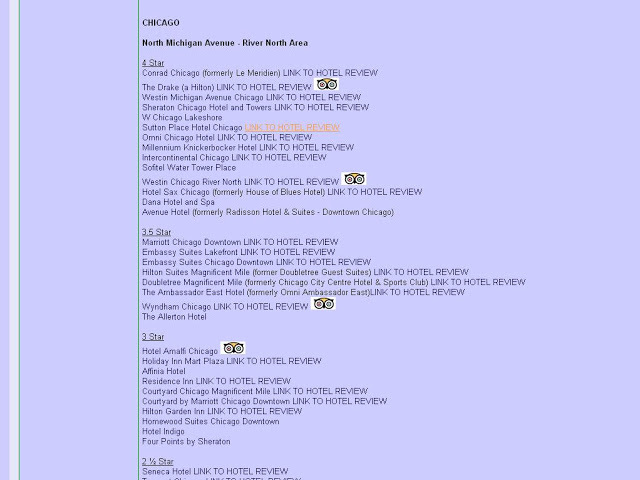 Any questions about Priceline hotel bidding? I’m happy to try to answer. 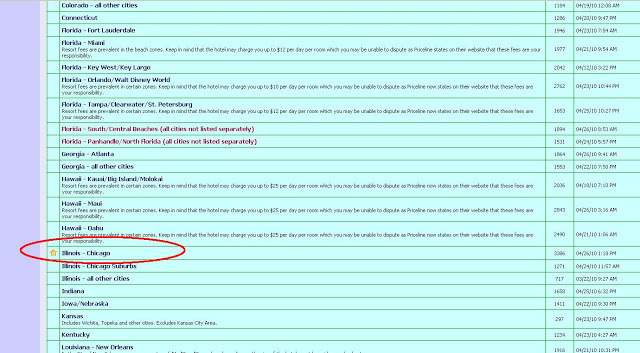 Hmmm, I was just about to book our Christmas hotel, but I might need to look into this. I am definitely a pay-for-convenience person, but this could be worth the hassle. No! Don't spill the beans about the CVV code! I live in fear of them fixing that little loophole 😉 Also, thebiddingtaveler (brought to you by the same people as better bidding) is the bomb.com. 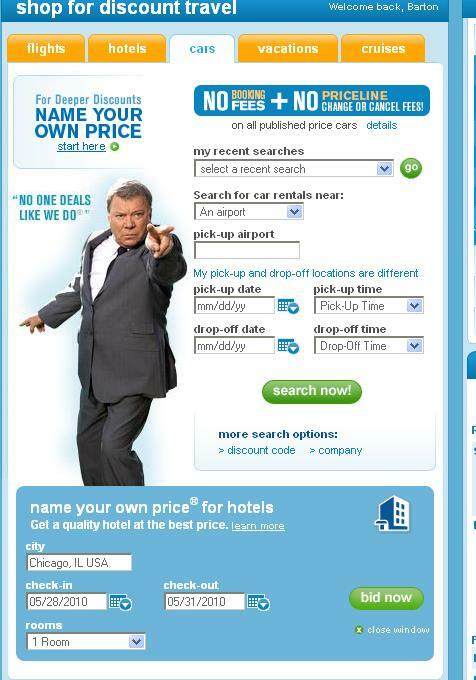 I'm glad that it's worked for you and others, but Priceline is dead to me. Earlier this fall, I received a complimentary upgrade to a higher star level complete with an added resort fee. The additional $20 was charged by the hotel and not Priceline and yes, there's small text somewhere in the Priceline process but I didn't even want that level. Love the loophole! I'm thinking about trying this in the DC area for the cherry blossoms next month, oh wait THIS month! Do you know how close to your desired hotel date you can book? Within 24 hours? Also, in your example of the hotel website price for $409 vs the $99 steal price, where did you see the $99 Pirceline quote? Can you see it before you book? And one more thing 🙂 From your experiences, what price point were you shooting for? I wonder if this tool is optimized for a $100-$220 price point or something… If I enter $60 will I get a total total dingy place? Thanks for your ideas!